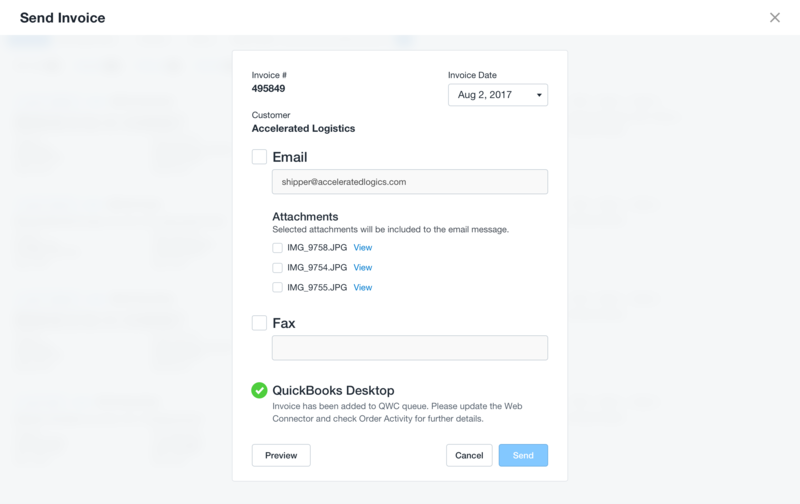 Once you have QuickBooks Desktop integrated with your Super Dispatch Dashboard, then you can start sending your Invoices directly to your QuickBooks account with a click of a button! This will ensure that your Accounting records are up to date. Login to your Super Dispatch Dashboard. 3. Click on the Options button next to the Order, then select "Send Invoice". 4. Please check the QuickBooks Online box. 5. Please click to the Send button to send an invoice to QuickBooks. 6. If the invoice sends successfully to QB Desktop you see "Invoice has been added tp QWC queue. Please update the Web Connector and check Order Activity for further details." text message with green check icon. This will put this particular invoice in the queue to be sent to your QB Desktop Account. QB Desktop checks the Dashboard in constant intervals for such queued Invoices, and migrates them over to its own records. 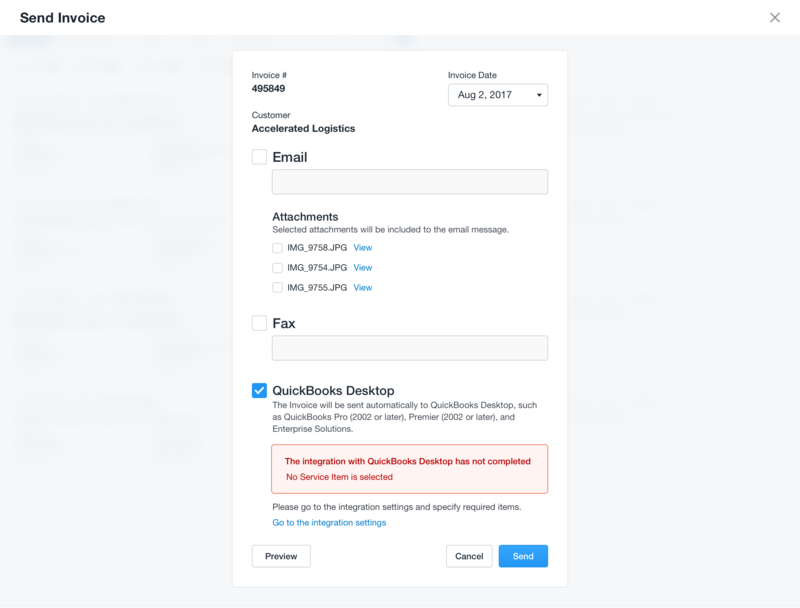 This means that your Invoice may not show up in your QB Desktop immediately, but will be pulled by QuickBooks at its next update interval. If you want to see your invoices on QB Desktop immediately, you should update web connector after sending invoices. 7. If the invoice doesn't send to QB Desktop, you see an error message in the Send Invoice page. The error text means that you didn't select a Service Item while sending integrating your dashboard with QB Desktop. 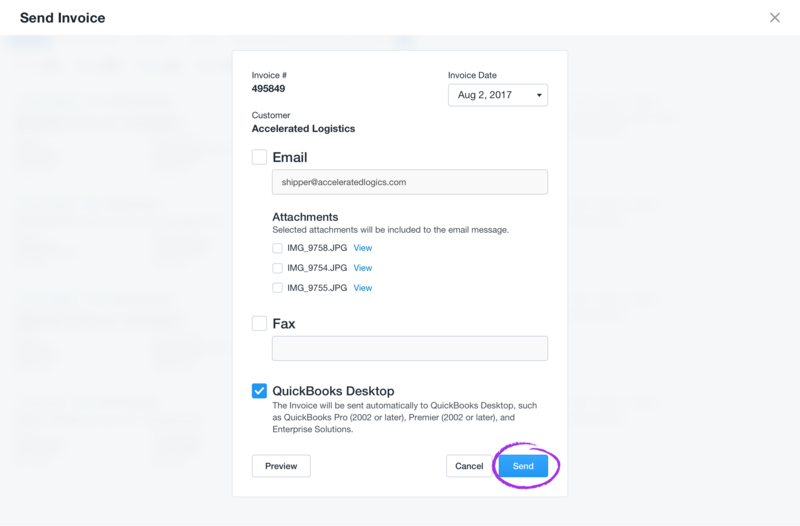 Solution: go to QuickBooks page, click on the Manage Integration button in the QuickBooks Desktop section, click on the Update Service Item button and select a considered service item, then try to send the invoice to QB Desktop again. If you still don't see your invoices on QB Desktop, please check Order Activity for further details.